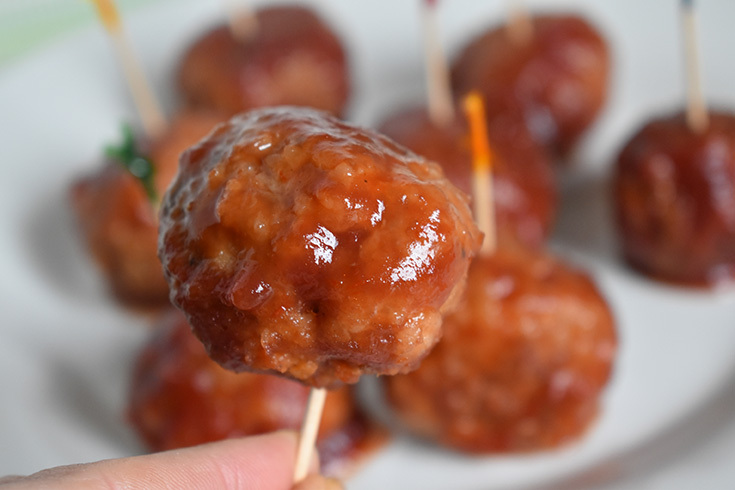 One of my favorite finger foods to make would have to be meatballs that are covered in a spicy but sweet cranberry sauce! I normally use ground beef but recently made them using ground turkey and they were just as delicious if not better! 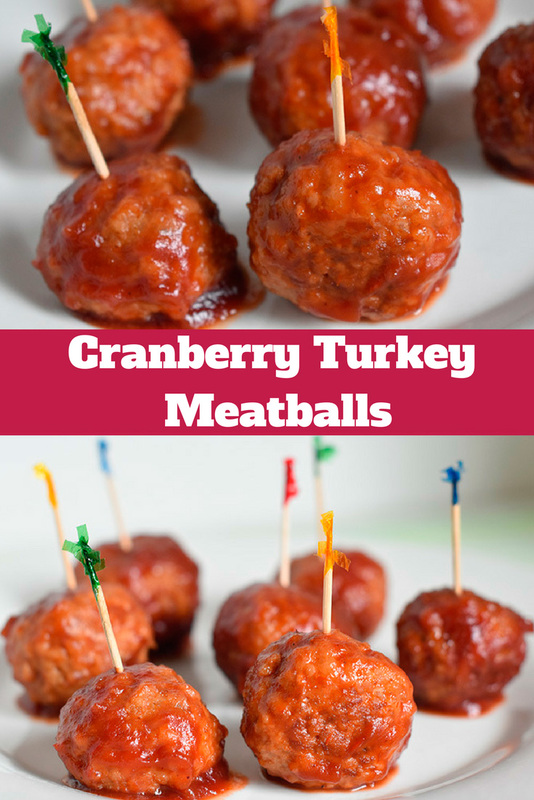 Making Cranberry Turkey Meatballs is EASY and will have your guests wanting to know your recipe! When it comes to meatballs I love to make my own! 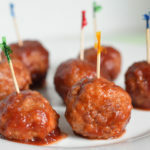 They are easy to make and making your own gives you the ability to give your meatballs all the seasonings and flavor that you want! You can also make them as big or as small as you want too! Now I normally use ground beef with homemade meatballs but this time I wanted to try something different. I used some of the Foster Farms Fresh Ground Turkey that I found on sale at Safeway! With some panko breadcrumbs, an egg and some seasonings I made 15 rounded turkey meatballs and baked them for about 15 minutes in the oven until they were golden. Next step is to make the spicy cranberry sauce! I microwave the jellied cranberry sauce until it is melted and then pour in a bottle of some chili sauce and mix the two together. I then add the sauce to my crockpot, add the turkey meatballs and cook them on high for about 2 hours. Once the turkey meatballs have simmered in the crockpot for at least a couple hours they are ready to be enjoyed. 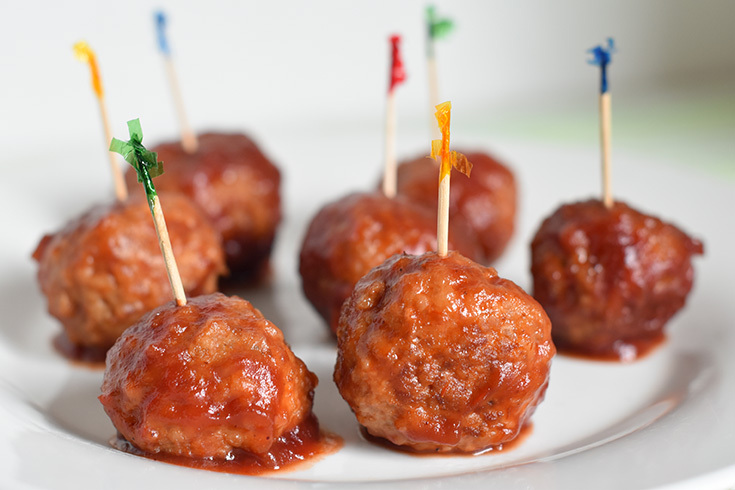 Toothpicks makes turning these Cranberry Turkey Meatballs into finger foods a snap! 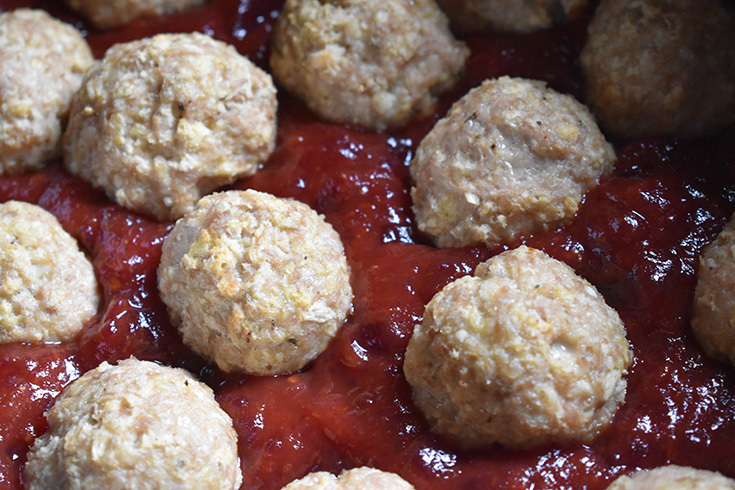 An easy and delicious recipe for Cranberry Turkey Meatballs. In a bowl add ground beef, breadcrumbs, egg, salt, pepper, oregano and minced onion. Stir until well blended. 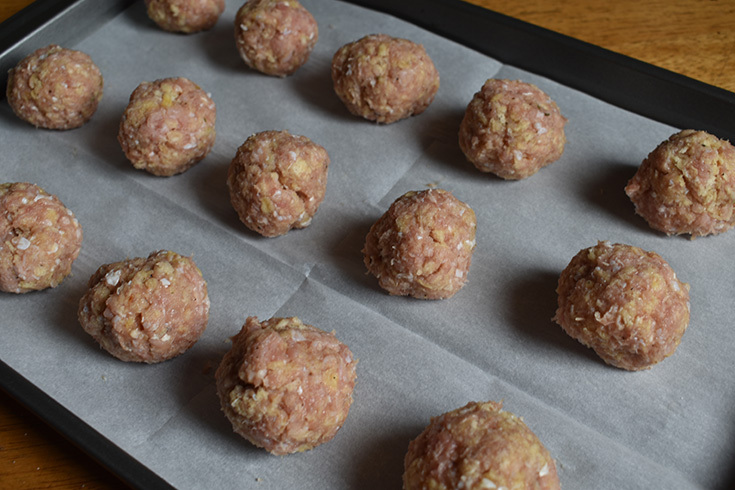 Shape mixture into 15 rounded balls and place on cookie sheet lined with foil or parchment paper. 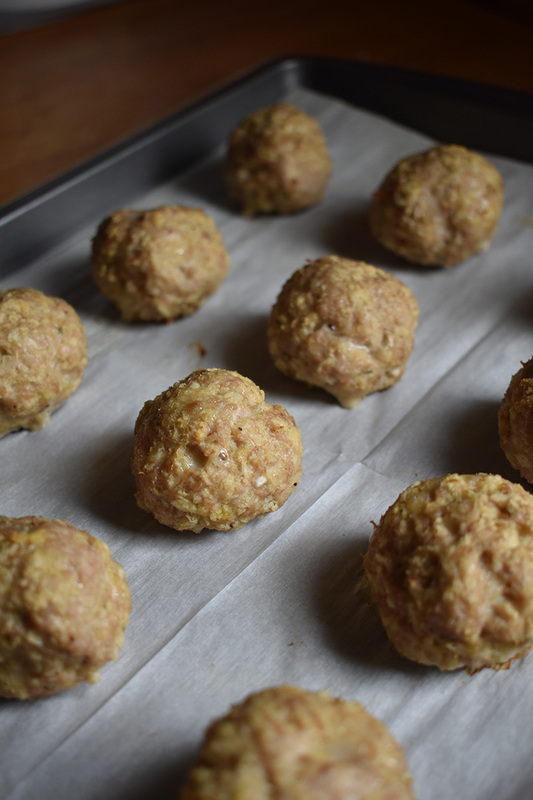 Bake at 400 for 15-20 minutes, until meatballs are golden). Remove from oven and set aside. Place cranberry sauce in bowl and microwave for 45 seconds. Stir and microwave another 30 seconds until cranberry sauce is slightly melted. Add chili sauce and mix until blended. Pour cranberry sauce mixture into crockpot. Add turkey meatballs into sauce and stir to coat each meatball in the sauce. 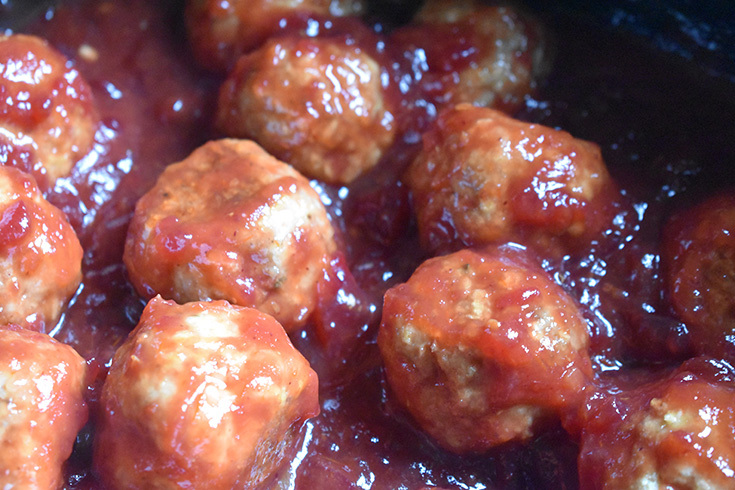 Cook on high for 2-4 hours to allow meatballs to get a nice spicy cranberry flavor. Remove from crockpot and enjoy!